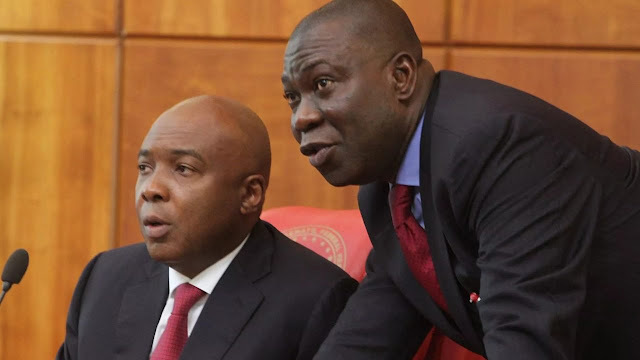 Secretary to the Government of the Federation, Babachir Lawal, has told Bukola Saraki and his deputy, Ike Ekweremadu, to stop being sentimental and leave National Assembly out of their court trials. The SGF faulted statements credited to the two leaders of the Senate after their arraignment, which he said gave the erroneous impression that the entire Senate was on trial. He said: “It is important to emphasise that this case involved only the four accused persons and should not be presented to the unsuspecting public as involving the entire Senate. But Saraki and Ekweremadu are not ready to resign. The senate is like their last card.